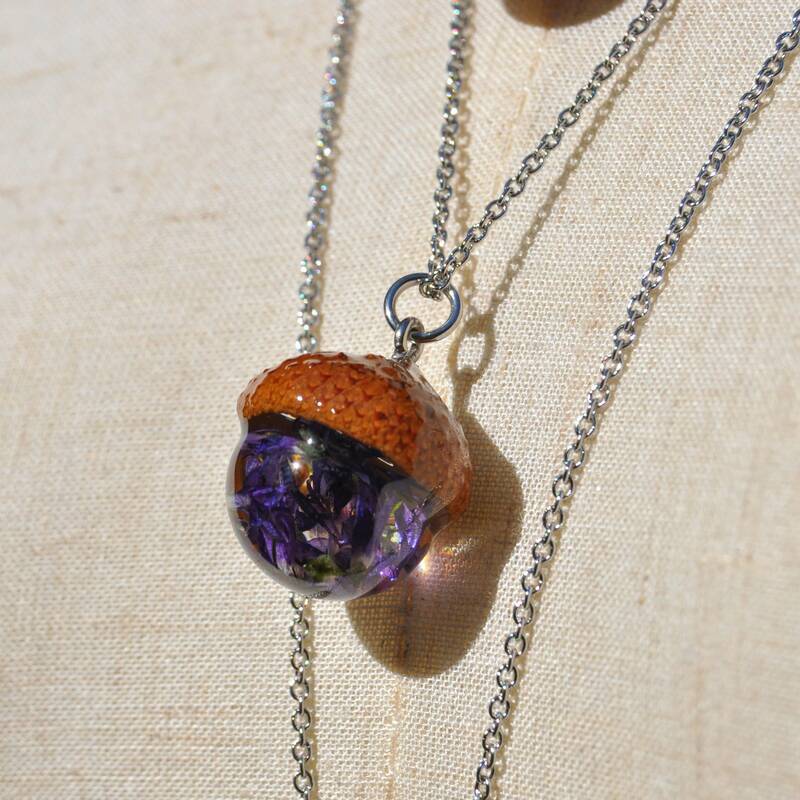 These glossy acorn necklaces brings to mind a walk in the woods, where flowers grow beneath the trees. 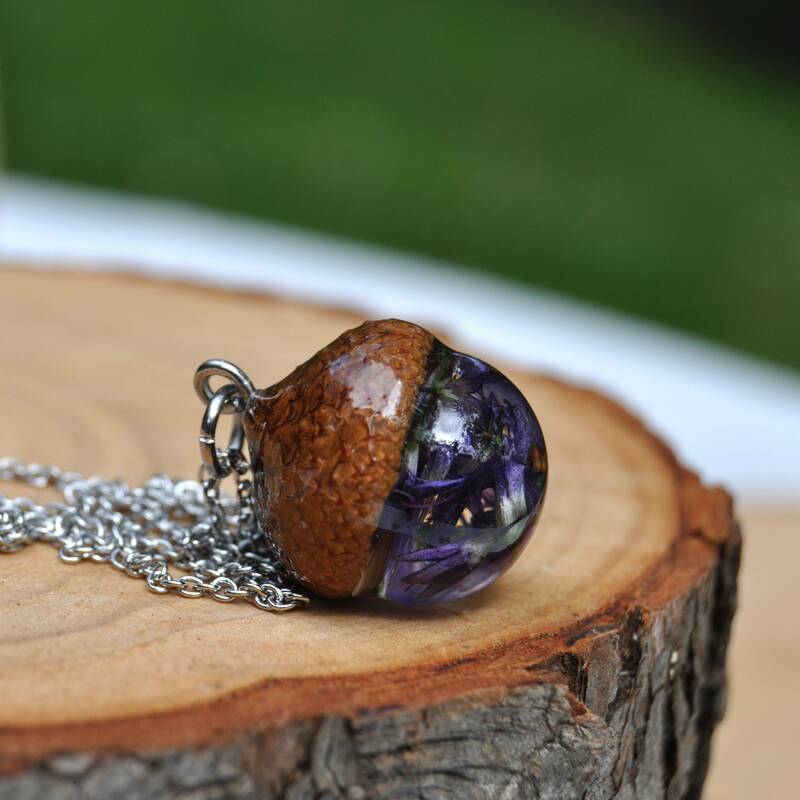 Each acorn is made with a round and spherical base topped with a real acorn cap. 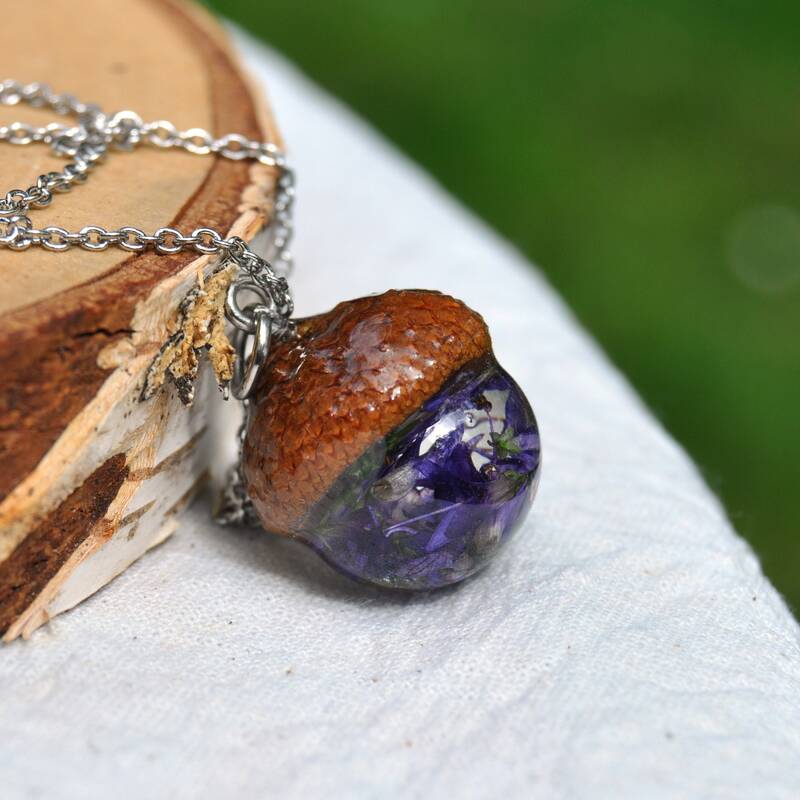 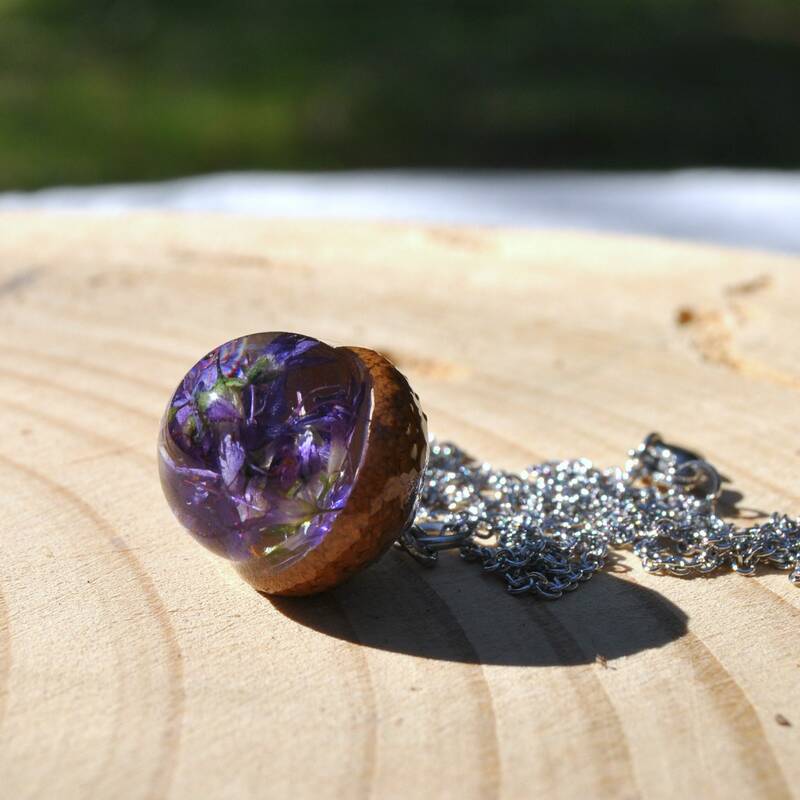 The resin sphere is cast with a collection of delicate purple Hebe flowers inside. 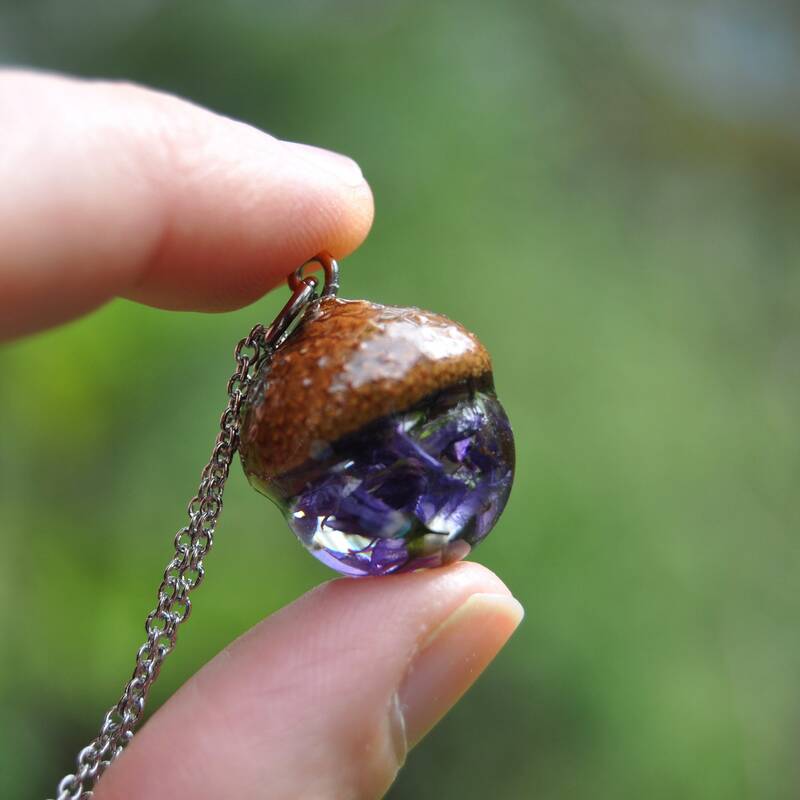 Along with the acorn cap, both pieces are then layered with a final layer of resin to ensure a glossy and durable finish, which protects the embedded botanical elements. 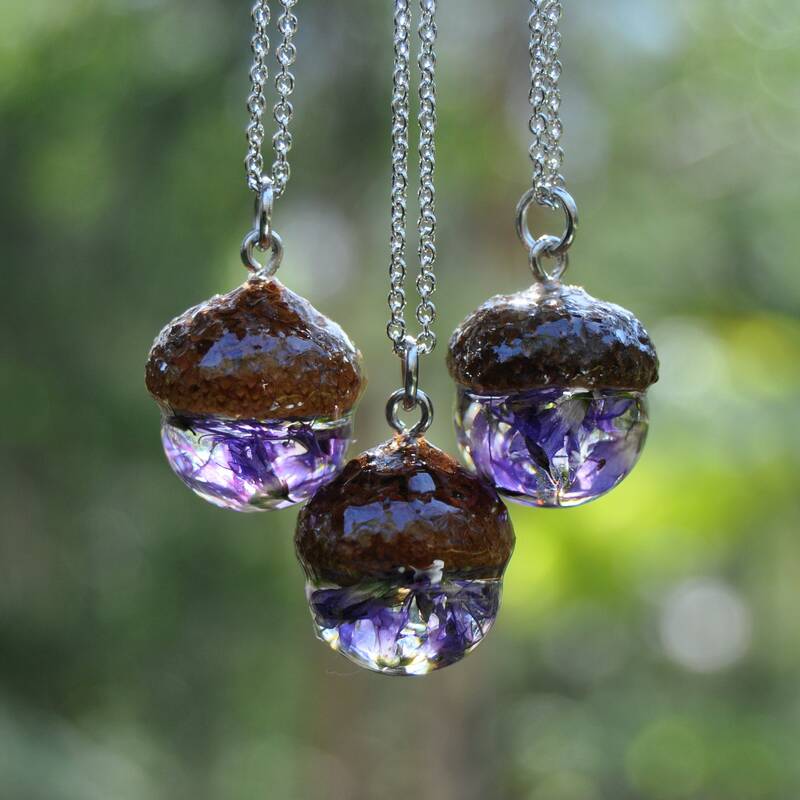 Each acorn comes strung on a stainless steel chain in a length of your choice - please choose from the menu. 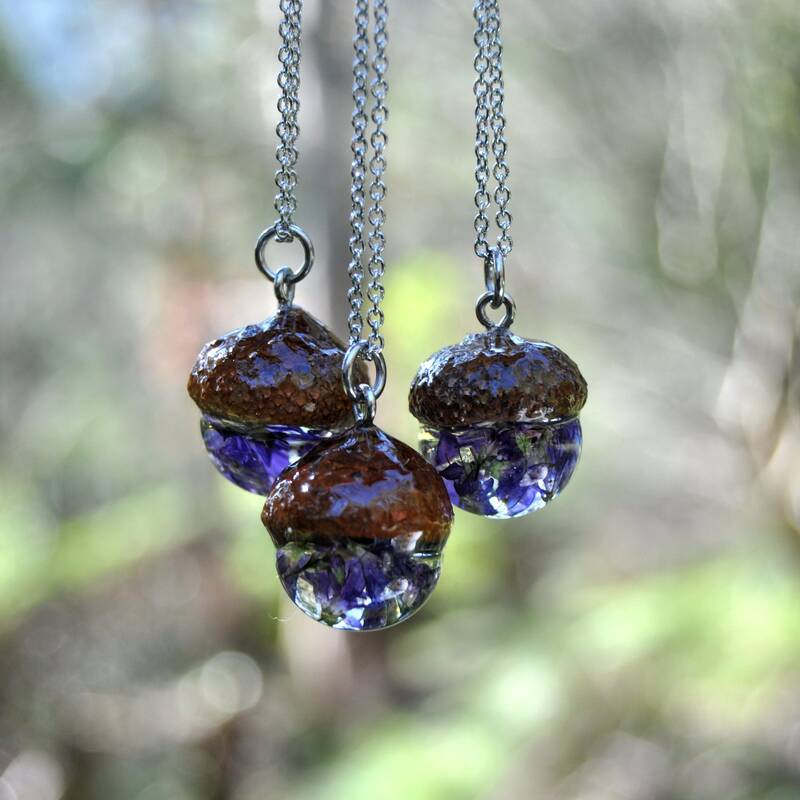 If you would prefer a different length chain, please leave a note with your order - I make all chains to order. 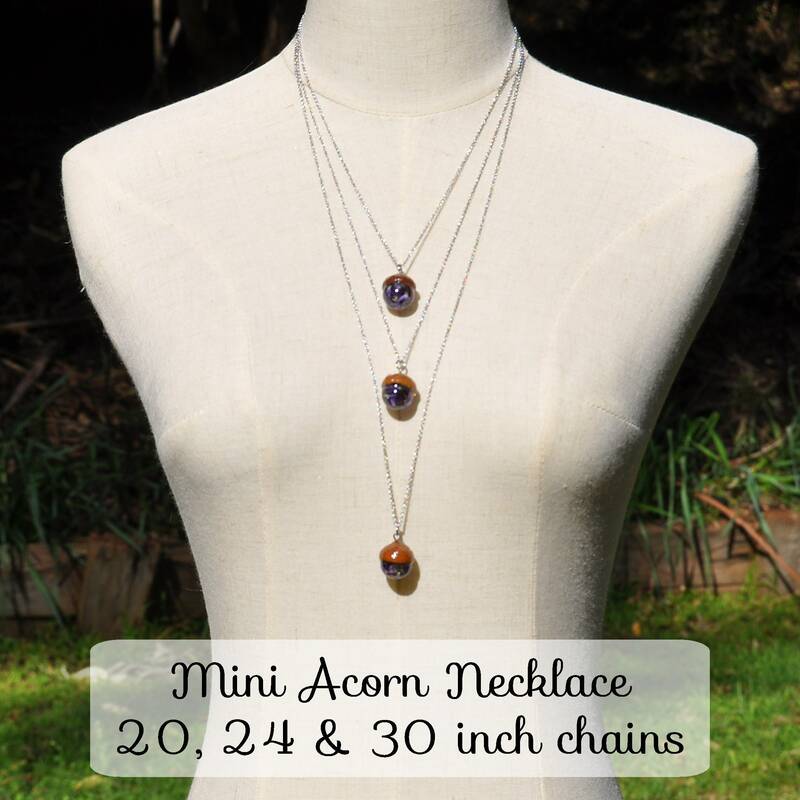 Acorns measure approximately 23 mm long and are 18 mm wide.